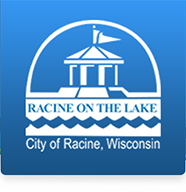 The Annual Budget, establishes direction for the implementation of all City of Racine's programs and services for the upcoming year. The Financial Plan outlines the Administration’s recommendation on how to meet the needs of our growing community in a fiscally responsible manner and in keeping with the City Council’s goals and policies. The Financial Plan is developed by carefully evaluating available resources, following established financial policies, and applying sound administrative decisions and practices. Review and approval of the Financial Plan is one of the City Council’s most important roles. The City’s budget (fiscal) year is January 1st through December 31st. City departments meet with the Mayor's office to discuss specific budget needs or changes prior to preparing their budget submissions. The City Council adopts the finalized Financial Plan for Community Services (Annual Budget) in November of each year. The City Administration also works with the Mayors office to update the Capital Improvement plan prior to the budget. You can find the Adopted Budget and Adopted below, Proposed Budget information can be found here including meeting dates, documents, and Common Council Meeting Videos.